A bright sunny Sunday with a brisk, cold north easterly wind created pleasant conditions for a November Frostbite series race. Paul Bowen took a commanding victory in the Shadow catamarans from Shaun Kellett and Carl Blenkinsop. 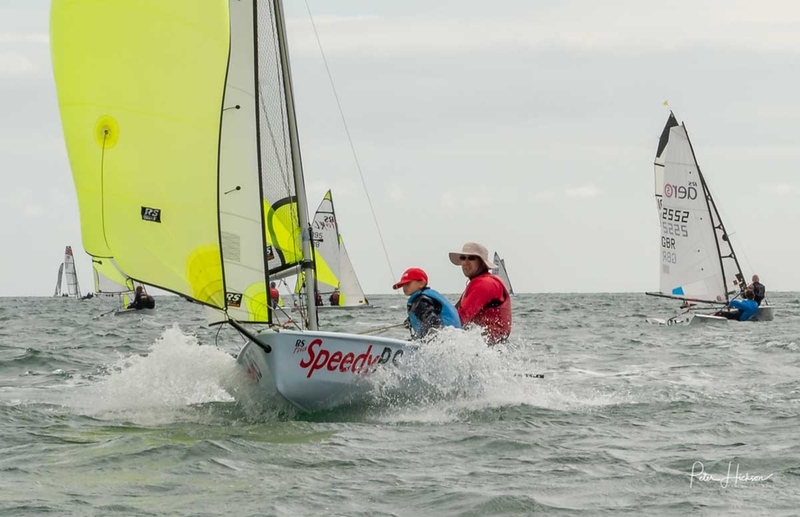 Ben Willows overcame post party issues to sail his RS700 to the front of the Fast Handicap fleet ahead of Graham Deegan & Judith French on their RS400 and Brett Aarons sailing the first of the RS100's. The very diverse Medium Handicap fleet was won by Jack Oswald sailing a Laser Radial. Tom Yates provided the expertise to help his dad to second place on their Laser 2000 followed by Phil Wright on his RS Aero. In the Slow Handicap, Luke and William Bradley suffered gear failure after a capsize putting them out of contention. Robin and Samuel Leather (RS Feva) managed first place from Jez Segar (RS Quba) and Mike Peddar (Pico). Killian Boag was first RS Tera cadet home ahead of Thomas Leather.